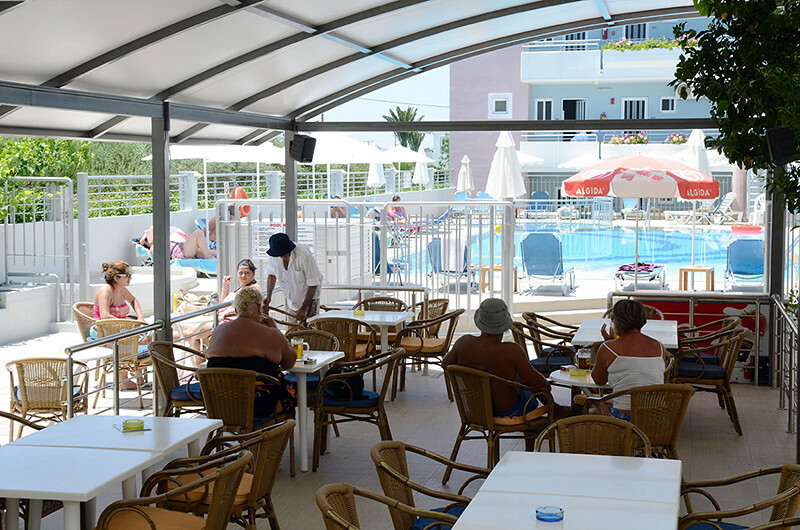 Welcome to the “Refresh” pool snack bar of Marianna hotel, which operates from 9 in the morning to 7 in the afternoon, by the pool. 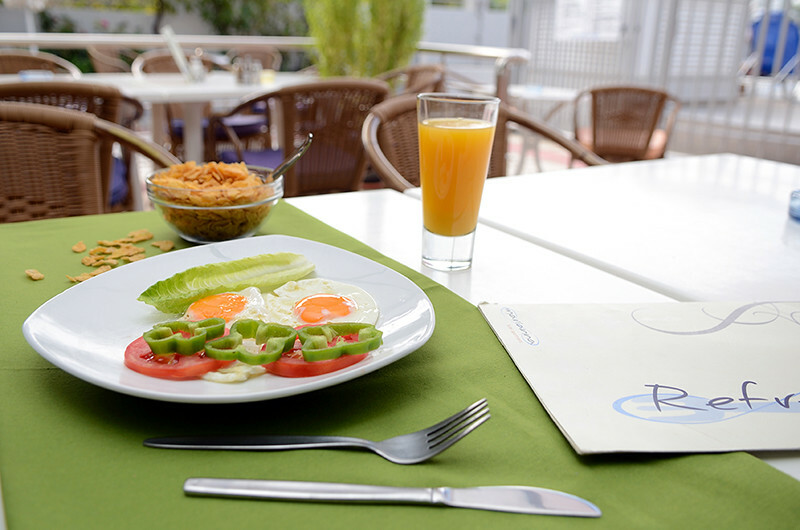 After a morning dive in the pool, what better can you think of a fresh and delicious breakfast to give you power for the rest of the day? 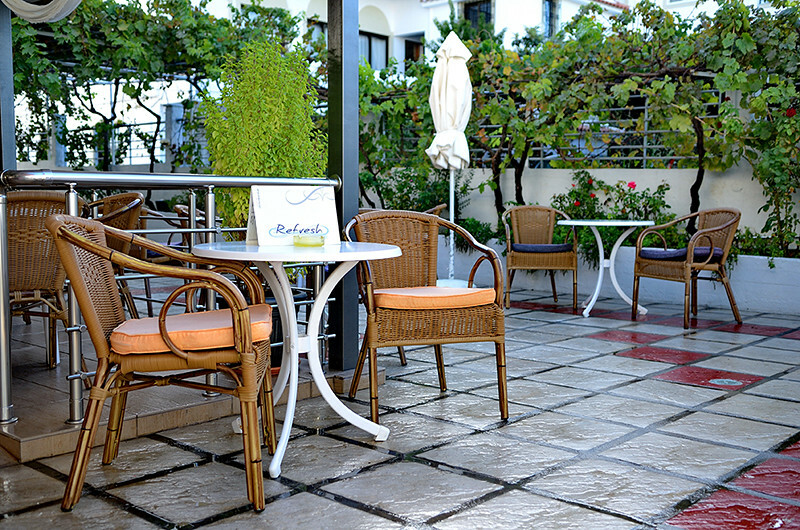 There is no limitation in the hours that breakfast is served as you are here to relax...We are waiting for you anytime after 9 in the morning. 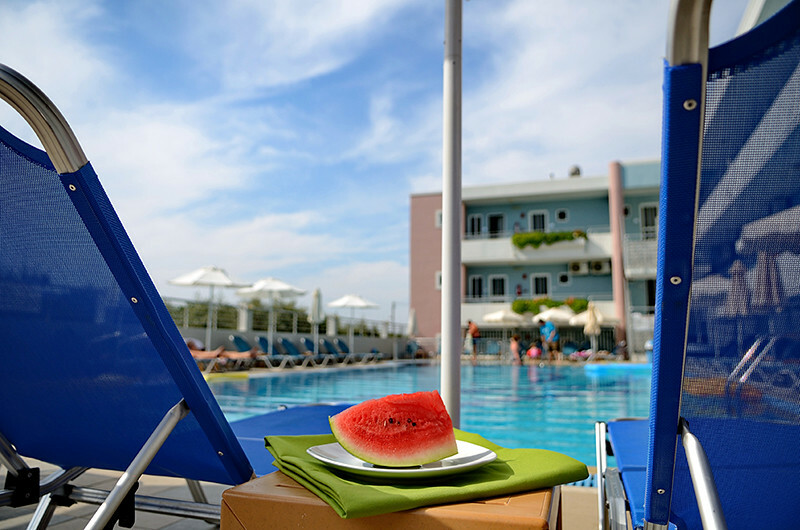 The clean and sunny area of the pool belongs to you for the rest of the day till late in the afternoon, with sun beds and umbrellas free of charge. Especially if you aim to get the perfect tanning, you are in the right place. If you get thirsty, do not panic, “Refresh” is near, where you can enjoy a cool barrel beer, refreshing juices, tasteful milkshakes and alcohol drinks. If you get hungry, do not omit to try our fresh salads, with ingredients from our garden, olives and olive oil of our own production, homemade burgers with fresh minced meat, tasty sandwiches and whatever your appetite asks for. We aim to make the days of your vacations, rather than sunny, also unforgettable. This page took 0.011245965957642 seconds to load.